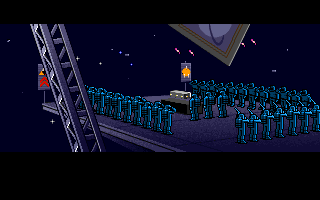 Wing Commander 1 and 2 are classic space flight sims that are just as fun (and frustrating) now as they were in their heyday. There are the games that you play and then there the games that you fall in love with. Most dedicated gamers have at least a few; titles that hit just the right personal note or landed at just the right moment in their lives to linger ever after in their memories. I'm no different, for my part. I could switch on Final Fantasy VI right now and quickly find myself lost in another playthrough. Likewise, no matter where the series goes Ocarina of Time will always be the peak of the Zelda series for me. 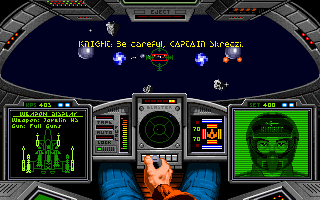 In terms of PC games however, one title I've never been able to escape is Wing Commander 2. It's been a favorite ever since my I rescued a copy from the bargain bin of a Canadian Wal-Mart in 1996. 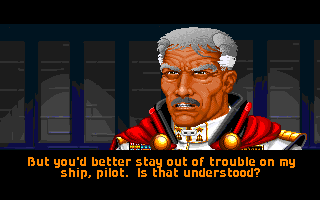 It's funny because Wing Commander 2 and its predecessor, the original Wing Commander, are both far from perfect. They have substantial problems that bother even me, a self-admitted devotee. 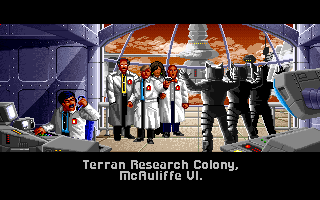 That in mind, and with it have been several years since my last playthrough, I was interested to see how the first entries in the Wing Commander saga would hold up when compared to my fond memories. The games are set in the middle of a long running war between the Terran Confederation and the Kilrathi, a race of humanoid cat aliens that are hell-bent on conquering humanity. 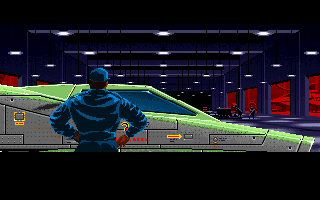 You start off in the first game as a nameless rookie assigned to the fighter wing of the carrier the Tiger's Claw. Despite your inexperience however, you quickly establish yourself as an ace and help to carry your forces to victory in the ongoing Vega campaign. The story in the first game is nothing to write home about. It's decently told, to be sure, possessing branching paths and likable characters whom you'll strive to protect in combat, but it's also feels ultimately basic, serving mostly just to give some context to the game's combat missions. 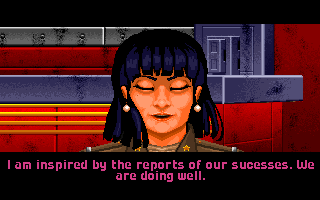 If a good narrative is what you're looking for, Wing Commander 2 pretty much ups the ante in every conceivable way. 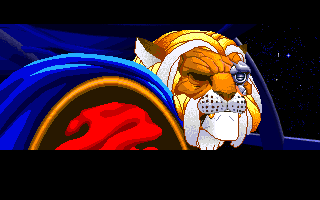 It begins with the hero of the first game (eventually named Christopher Blair in Wing Commander 3 being accused of desertion leading to the destruction of the Tiger's Claw. Disgraced and left to rot aboard a backwater space station for ten years, he's eventually drawn back into the war, joining the fighter compliment of the Concordia, a new advanced carrier. The story is leagues more involved than the first game's, using the space between combat missions to weave a narrative involving redemption, mystery, revenge and romance alongside themes of war. It also just really delivers on the idea that your character, once a renowned hero, is now a mistrusted underdog. There is this constant aura of adversity surrounding your every action. People want you to fail. This, coupled with the gradual peeling back of the game's mystery plot makes for a great, vindicating climax. 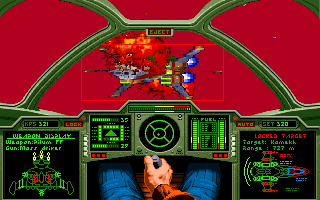 Their stories aside, both Wing Commander 1 and 2 are occasionally troubled when it comes to their gameplay, which is pretty much identical save for different fighter craft. It should be said that "troubled" doesn't, by any means, mean bad. While there are things that frustrated me about both of these games, they are a lot of fun and extremely addictive. 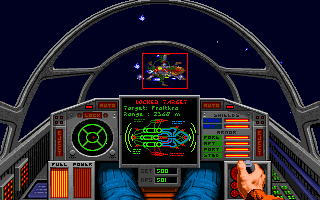 Back when I was a kid playing Wing Commander 2 for the first time, entire weekends would burn away with my eyes fixed firmly on my computer screen and my every fiber focused on pushing through just one more mission. Playing the games again, I found them to be just as enjoyable and engaging. That being the case, they're often also just as frustrating as they are fun. 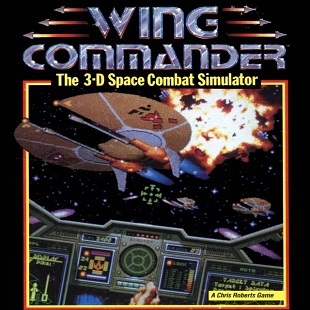 Don't get me wrong, I like a challenge, but Wing Commander 1 and 2 often cross the line that separates difficult from unfair. This would barely be worth mentioning if it were just limited to a few moments in the games; a mission here and a mission there. That said, the difficulty sometimes seems to spike at random. You'll enter battle and your fighter will just seem inordinately fragile or, other times, you'll die, restart a mission and find that opponents you took down with ease during your last attempt are now ace level pilots that rip you and your wingman to pieces. You can also basically count on any mission involving "a bombing run on a destroyer" to be an infuriating test of your patience. The imbalances in the difficulty are exacerbated by some of the other issues present in the games. I'm generally not one to complain too much about a lack of checkpoints, but the first two Wing Commanders could really have used them. 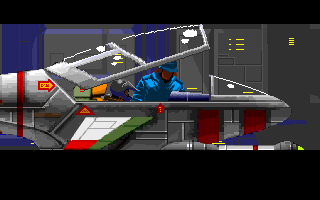 This is especially the case in Wing Commander 1 where its permadeath mechanics will often lead to your restarting entire levels to keep your sometimes less than skilled wingmen alive. Having to start from the very beginning each time something goes wrong just feels like a waste, especially in some of the longer, more challenging missions where a wrong move can mean 20-30 minutes of lost progress. Both games are also frequently repetitious, a problem that would persist throughout the lifespan of the series. To their credit, most missions at least try to offer something unique to keep things varied. Unfortunately, the vast majority of levels still wind up feeling like slight variations on the same basic patrol pattern. You'll start a mission, travel between three nav points, kill any enemies you meet and land. Again, the combat is a lot fun, but you'll still find yourself wishing at points for a bit more diversity. Come back next week as we continue through the series with Wing Commander 3 and 4.